Welcome to CAMPUSTOURS.com, owned and produced by CAMPUSTOURS, Inc and its subsidiary and affiliate corporations, successors, and assigns (collectively referred to as "CAMPUSTOURS"). CAMPUSTOURS currently consists of various web pages at or linked to the URLs www.CampusTours.com, www.CampusMaps.com, www.WalkingTour.com, www.CollegeTours.com, www.CTPProjects.com and www.CampusTour.com, as well as a network of independently-administered interactive maps and virtual tours (AnyMap, AnyTour & WalkingTour) collectively referred to as "CAMPUSTOURS," which may expand or change from time to time). CAMPUSTOURS is currently one of the most visited college hubs on the Internet. 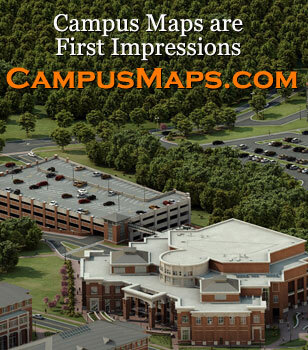 CAMPUSTOURS provides virtual campus tours and interactive campus maps of colleges and universities. Unless explicitly stated otherwise, any new Products and Services (as defined below), including the addition of new CAMPUSTOURS properties shall be subject to these Terms and Conditions. CAMPUSTOURS makes available a variety of products and services through CAMPUSTOURS.com and CAMPUSMAPS.com and WALKINGTOUR.com (collectively, the "Products and Services") subject to these General Terms and Conditions ("Terms and Conditions"). In addition, there are a variety of special products and services offered through CAMPUSTOURS that have separate terms and conditions, terms of service, user agreements, or similar legal agreement. When you are using any service or product on CAMPUSTOURS that does not have a separate legal agreement, the Terms and Conditions set forth here will apply. CAMPUSTOURS also may supplement the Terms and Conditions with posted guidelines or rules applicable to specific areas of CAMPUSTOURS. In addition, CAMPUSTOURS also may offer other services from time to time that are governed by the terms of service of the respective service partners. The Terms and Conditions contain a variety of provisions that are generally applicable to the Products and Services and some provisions that apply to particular Products and Services. The following is a list of the various provisions in the Terms and Conditions. The headings contained in these provisions, however, are solely for your convenience and have no legal import. While this list may help you locate particular provisions, you should understand that you will be bound by the entire Terms and Conditions. By using the Products and Services, you are agree, without limitation or qualification, to be bound by, and to comply with, these Terms and Conditions and any other posted guidelines or rules applicable to any individual CAMPUSTOURS web site, Product or Service. All such guidelines and rules are hereby incorporated by reference into the Terms and Conditions. Use of the Products and Services is subject to compliance with these Terms and Conditions. You acknowledge and agree that CAMPUSTOURS may terminate your access to CAMPUSTOURS or to any of the Products and Services should you fail to comply with the Terms and Conditions or any other guidelines and rules published by CAMPUSTOURS. Any such termination shall be in CAMPUSTOURS' sole discretion and may occur without prior notice, or any notice. CAMPUSTOURS further reserves the right to terminate any user's access to CAMPUSTOURS or to any of the Products and Services for any conduct that CAMPUSTOURS, in its sole discretion, believes is or may be directly or indirectly harmful to other users, to CAMPUSTOURS or its subsidiaries, affiliates, or business contractors, or to other third parties, or for any conduct that violates any local, state, federal, or foreign laws or regulations. CAMPUSTOURS further reserves the right to terminate any user's access to CAMPUSTOURS or to any of the Products and Services for any reason or for no reason at all, in CAMPUSTOURS' sole discretion, without prior notice, or any notice. In order to use the Products and Services, users must have access to the World Wide Web and must navigate the Internet to http://www.CampusTours.com/ or another of the URLs associated with CAMPUSTOURS. CAMPUSTOURS does not discriminate on the basis of age, gender, race, ethnicity, nationality, religion, sexual orientation, or any other protected status. THE PRODUCTS AND SERVICES ARE PROVIDED "AS IS," WITH NO WARRANTIES WHATSOEVER. ALL EXPRESS, IMPLIED, AND STATUTORY WARRANTIES, INCLUDING, WITHOUT LIMITATION, THE WARRANTIES OF MERCHANTABILITY, FITNESS FOR A PARTICULAR PURPOSE, AND NON-INFRINGEMENT OF PROPRIETARY RIGHTS, ARE EXPRESSLY DISCLAIMED TO THE FULLEST EXTENT PERMITTED BY LAW. TO THE FULLEST EXTENT PERMITTED BY LAW, CAMPUSTOURS DISCLAIMS ANY WARRANTIES FOR THE SECURITY, RELIABILITY, TIMELINESS, AND PERFORMANCE OF THE PRODUCTS AND SERVICES. TO THE FULLEST EXTENT PERMITTED BY LAW, CAMPUSTOURS DISCLAIMS ANY WARRANTIES FOR OTHER SERVICES OR GOODS RECEIVED THROUGH OR ADVERTISED ON THE PRODUCTS AND SERVICES OR RECEIVED THROUGH ANY LINKS PROVIDED IN THE PRODUCTS AND SERVICES, AS WELL AS FOR ANY INFORMATION OR ADVICE RECEIVED THROUGH THE PRODUCTS AND SERVICES OR THROUGH ANY LINKS PROVIDED IN THE PRODUCTS AND SERVICES. CAMPUSTOURS SIMILARLY DISCLAIMS, TO THE FULLEST EXTENT PERMITTED BY LAW, ANY WARRANTIES FOR ANY INFORMATION OR ADVICE OBTAINED THROUGH THE PRODUCTS AND SERVICES. YOU EXPRESSLY UNDERSTAND AND AGREE THAT CAMPUSTOURS DISCLAIMS ANY AND ALL RESPONSIBILITY OR LIABILITY FOR THE ACCURACY, CONTENT, COMPLETENESS, LEGALITY, RELIABILITY, OR OPERABILITY OR AVAILABILITY OF INFORMATION OR MATERIAL IN THE PRODUCTS AND SERVICES. CAMPUSTOURS DISCLAIMS ANY RESPONSIBILITY FOR THE DELETION, FAILURE TO STORE, MISDELIVERY, OR UNTIMELY DELIVERY OF ANY INFORMATION OR MATERIAL. CAMPUSTOURS DISCLAIMS ANY RESPONSIBILITY OR LIABILITY FOR ANY HARM RESULTING FROM DOWNLOADING OR ACCESSING ANY INFORMATION OR MATERIAL THROUGH THE PRODUCTS AND SERVICES, INCLUDING, WITHOUT LIMITATION, FOR HARM CAUSED BY VIRUSES OR SIMILAR CONTAMINATION OR DESTRUCTIVE FEATURES. CAMPUSTOURS MAKES NO WARRANTY REGARDING THE RELIABILITY OR ACCESSIBILITY OF MEMBER WEB PAGES OR ANY STORAGE FACILITIES OFFERED BY CAMPUSTOURS. YOU EXPRESSLY UNDERSTAND AND AGREE THAT UNDER NO CIRCUMSTANCES SHALL CAMPUSTOURS BE LIABLE TO ANY USER ON ACCOUNT OF THAT USER'S USE OR MISUSE OF AND RELIANCE ON THE PRODUCTS AND SERVICES. SUCH LIMITATION OF LIABILITY SHALL APPLY TO PREVENT RECOVERY OF DIRECT, INDIRECT, INCIDENTAL, CONSEQUENTIAL, SPECIAL, EXEMPLARY, AND PUNITIVE DAMAGES (EVEN IF CAMPUSTOURS HAS BEEN ADVISED OF THE POSSIBILITY OF SUCH DAMAGES). SUCH LIMITATION OF LIABILITY SHALL APPLY WHETHER THE DAMAGES ARISE FROM USE OR MISUSE OF AND RELIANCE ON THE PRODUCTS AND SERVICES, FROM INABILITY TO USE THE PRODUCTS AND SERVICES, OR FROM THE INTERRUPTION, SUSPENSION, OR TERMINATION OF THE PRODUCTS AND SERVICES (INCLUDING SUCH DAMAGES INCURRED BY THIRD PARTIES). SUCH LIMITATION SHALL ALSO APPLY WITH RESPECT TO DAMAGES INCURRED BY REASON OF OTHER SERVICES OR GOODS RECEIVED THROUGH OR ADVERTISED ON THE PRODUCTS AND SERVICES OR RECEIVED THROUGH ANY LINKS PROVIDED IN THE PRODUCTS AND SERVICES, AS WELL AS BY REASON OF ANY INFORMATION OR ADVICE RECEIVED THROUGH OR ADVERTISED ON THE PRODUCTS AND SERVICES OR RECEIVED THROUGH ANY LINKS PROVIDED IN THE PRODUCTS AND SERVICES. SUCH LIMITATION SHALL APPLY, WITHOUT LIMITATION, TO THE COSTS OF PROCUREMENT OF SUBSTITUTE GOODS OR SERVICES, LOST PROFITS, OR LOST DATA. SUCH LIMITATION SHALL APPLY WITH RESPECT TO THE PERFORMANCE OR NON-PERFORMANCE OF THE PRODUCTS AND SERVICES OR ANY INFORMATION OR MERCHANDISE THAT APPEARS ON, OR IS LINKED OR RELATED IN ANY WAY TO, CAMPUSTOURS. SUCH LIMITATION SHALL APPLY NOTWITHSTANDING ANY FAILURE OF ESSENTIAL PURPOSE OF ANY LIMITED REMEDY. SUCH LIMITATION SHALL APPLY TO THE FULLEST EXTENT PERMITTED BY LAW. SUCH LIMITATION OF LIABILITY SHALL ALSO APPLY TO ANY DAMAGE CAUSED BY LOSS OF ACCESS TO, DELETION OF, FAILURE TO STORE, FAILURE TO BACK UP, OR ALTERATION OF MEMBER WEB PAGES OR OTHER CONTENT STORED THROUGHT CAMPUSTOURS. UNDER NO CIRCUMSTANCES SHALL CAMPUSTOURS BE HELD LIABLE FOR ANY DELAY OR FAILURE IN PERFORMANCE RESULTING DIRECTLY OR INDIRECTLY FROM ACTS OF NATURE, FORCES, OR CAUSES BEYOND ITS REASONABLE CONTROL, INCLUDING, WITHOUT LIMITATION, INTERNET FAILURES, COMPUTER EQUIPMENT FAILURES, TELECOMMUNICATION EQUIPMENT FAILURES, OTHER EQUIPMENT FAILURES, ELECTRICAL POWER FAILURES, STRIKES, LABOR DISPUTES, RIOTS, INSURRECTIONS, CIVIL DISTURBANCES, SHORTAGES OF LABOR OR MATERIALS, FIRES, FLOODS, STORMS, EXPLOSIONS, ACTS OF GOD, WAR, GOVERNMENTAL ACTIONS, ORDERS OF DOMESTIC OR FOREIGN COURTS OR TRIBUNALS, NON-PERFORMANCE OF THIRD PARTIES, OR LOSS OF OR FLUCTUATIONS IN HEAT, LIGHT, OR AIR CONDITIONING. CAMPUSTOURS offers access to numerous third party web pages and content available over the Internet. In overwhelming majority instances, including, but not limited to, sites displayed as search results or contained within a directory of links, CAMPUSTOURS has no control whatsoever over the content of such sites. In other instances, including, but not limited to, interactive maps, virtual tours, walking tours and web pages hosted on CAMPUSTOURS servers or provided to CAMPUSTOURS by third parties, CAMPUSTOURS may set guidelines for what may appear on such web pages and may engage in certain screening, but generally exercises no control over the content of such web pages and is unable to police all such content. Third party content accessible through CAMPUSTOURS from such sources is developed by people over whom CAMPUSTOURS exercises no control. The search results that appear from the catalogs indexed by CAMPUSTOURS's employees are third party sites, and CAMPUSTOURS cannot and does not screen the sites before including them in the catalogs from which such search results are gathered. Similarly, web pages hosted by CAMPUSTOURS are posted by third parties, and, with the exception of certain automated screening functions, CAMPUSTOURS cannot and does not screen such web pages before they are made accessible to other users of CAMPUSTOURS. Accordingly, CAMPUSTOURS assumes no responsibility for the content of any site included in any search results or otherwise linked to CAMPUSTOURS web sites or in any web page hosted for a third party within CAMPUSTOURS. In instances where CAMPUSTOURS does review the sites that are displayed in directories, indices, and/or references, or where CAMPUSTOURS makes available directories, indices, and/or references of sites compiled by third parties, the content located at such sites was developed third parties, and review of such sites by CAMPUSTOURS, if any, is narrowly limited to that which is necessary for compiling the particular set of links. Pictures, movies, maps, streams, and sounds (the "Multimedia Content") located through the CAMPUSTOURS site and other CAMPUSTOURS search services are protected by copyright and/or other intellectual property laws. CAMPUSTOURS does not have the right to authorize you to reproduce, distribute, publicly display, publicly perform, or create derivative works from any files containing such Multimedia Content. Where search results link to sites outside CAMPUSTOURS, all of the Multimedia Content contained on such sites is owned and served by entities other than CAMPUSTOURS. CAMPUSTOURS provides you with the URL or address of the Multimedia Content; this information may be used to determine the server of the Multimedia Content. If you intend to make use of any Multimedia Content accessed through our site for commercial or noncommercial purposes, we strongly suggest that you contact the server of the Multimedia Content for permission to use the Multimedia Content. CAMPUSTOURS may provide, or third parties may provide, links to other sites or resources located on the World Wide Web by allowing a user to leave CAMPUSTOURS to access third-party material or by bringing the third party material into this site via "inverse" hyperlinks and framing technology. CAMPUSTOURS has no control over such sites and resources. You acknowledge and agree that CAMPUSTOURS is not responsible for the availability of such external sites or resources, and does not endorse and is not responsible or liable for any content, advertising, products, or other materials on or available from such sites or resources. You further acknowledge and agree that CAMPUSTOURS shall not be responsible or liable, directly or indirectly, for any damage or loss caused or alleged to be caused by or in connection with use of or reliance on any such content, goods or services available on or through any such site or resource. Your correspondence or business dealings with, or participation in promotions of, advertisers found on or through CAMPUSTOURS Products and Services, including payment and delivery of related goods or services, and any other terms, conditions, warranties or representations associated with such dealings, are solely between you and such advertiser. You agree that CAMPUSTOURS shall not be responsible or liable for any loss or damage of any sort incurred as the result of any such dealings or as the result of the presence of such advertisers on the Product and Services. CAMPUSTOURS encourages you to exercise discretion while using the Products and Services to browse the Internet. CAMPUSTOURS makes no representations concerning any effort to review the content of any of the sites listed in search results, or other directories, or of any of the sites otherwise linked to CAMPUSTOURS web sites. CAMPUSTOURS shall not be held responsible for the accuracy, copyright or trademark compliance, legality, or decency of material contained in sites listed in CAMPUSTOURS' search results or otherwise linked to CAMPUSTOURS web sites or provided to CAMPUSTOURS by third parties. CAMPUSTOURS offers a non-assignable, non-transferable, and non-exclusive license to link to CAMPUSTOURS' web sites, using CAMPUSTOURS logos, subject to the following provisions. CAMPUSTOURS logos may be placed on a Web site for the sole purpose of creating a link to CAMPUSTOURS and allowing users of your site to access the Products and Services on CAMPUSTOURS. CAMPUSTOURS logos may not be used for any other purpose, including, among other purposes, to suggest sponsorship by, or affiliation with, or endorsement by CAMPUSTOURS. CAMPUSTOURS logos may only be used in the exact size, shape, colors, design, and configuration as found on those web pages. CAMPUSTOURS logos may not be altered in any manner. CAMPUSTOURS logos must appear by themselves, with reasonable spacing (at least the height of the logo) between each side of the applicable logo or search box and other graphic or textual elements. CAMPUSTOURS logos may not be used to disparage CAMPUSTOURS, its products or services, or in a manner which, in CAMPUSTOURS's reasonable judgment, may diminish or otherwise damage CAMPUSTOURS's good will in CAMPUSTOURS logos. By using any such CAMPUSTOURS logo, you acknowledge that CAMPUSTOURS has exclusive rights to the logo, and that all good will generated through your use of the logo will inure to the benefit of CAMPUSTOURS. If you use CAMPUSTOURS logos, you must include appropriate attribution, for example: "CAMPUSTOURS Inc". CAMPUSTOURS reserves the right to revoke this license or to alter its terms from time to time, for any or no reason, with or without notice. CAMPUSTOURS reserves the right to take action against any use that does not conform to these provisions. If you would like permission to use any CAMPUSTOURS trademark, logo, service mark, trade dress, slogan, screen shot, copyrighted design, or other brand feature, then please contact CAMPUSTOURS. Except as expressly provided, nothing within any of the Products and Services shall be construed as conferring any license under any of CAMPUSTOURS's or any third party's intellectual property rights, whether by estoppel, implication, waiver, or otherwise. Without limiting the generality of the foregoing, you acknowledge and agree that certain Content available through and used to operate CAMPUSTOURS and the Products and Services is protected by copyright, trademark, patent, or other proprietary rights of CAMPUSTOURS and its affiliates, licensors, and service providers. Except as expressly provided to the contrary, you agree not to modify, alter, or deface any of the trademarks, service marks, or other intellectual property made available by CAMPUSTOURS in connection with the Products and Services. You agree not to hold yourself out as in any way sponsored by, affiliated with, or endorsed by CAMPUSTOURS, any of CAMPUSTOURS' affiliates, or any of CAMPUSTOURS' service providers. You agree not to use any of the trademarks or service marks or other Content accessible through CAMPUSTOURS of any purpose other than the purpose for which such Content is made available to users by CAMPUSTOURS. You agree not to defame or disparage CAMPUSTOURS, the trademarks or service marks of CAMPUSTOURS, or any aspect of the Products and Services. You agree not to adapt, translate, modify, decompile, disassemble, or reverse engineer the Products and Services or any software or programs used in connection with the Products and Services or CAMPUSTOURS. You acknowledge and agree that, regardless of any statute or law to the contrary, any claim or cause of action you may have arising out of, or relating to, your use of CAMPUSTOURS or the Products and Services must be filed within one (1) year after such claim or cause of action arises, or forever be barred. Please put "Notice of Infringement" in the subject line of all such notifications. When CAMPUSTOURS removes or disables access to any material claimed to be infringing, CAMPUSTOURS may attempt to contact the user who has posted such material in order to give that user an opportunity to respond to the notification, although CAMPUSTOURS makes no promise to do so. Any and all counter notifications submitted by the user will be furnished to the complaining party. CAMPUSTOURS will give the complaining party an opportunity to seek judicial relief in accordance with the DMCA before CAMPUSTOURS replaces or restores access to any material as a result of any counter notification. Unless expressly stated to the contrary elsewhere within the Products and Services, all legal issues arising from or related to the use of the Products and Services shall be construed in accordance with, and all questions with respect thereto shall be determined by, the laws of the Commonwealth of Maine applicable to contracts entered into and wholly to be performed within said state. Any controversy or claim arising out of or relating to these Terms and Conditions or any user's use of the Products and Services shall be settled by binding arbitration in accordance with the commercial arbitration rules of the American Arbitration Association. Any such controversy or claim shall be arbitrated on an individual basis, and shall not be consolidated in any arbitration with any claim or controversy of any other party. The arbitration shall be conducted in Auburn, Maine, and judgment on the arbitration award may be entered into in any state or federal court in Maine having jurisdiction thereof. Any party seeking temporary or preliminary injunctive relief may do so in any state or federal court in Maine having jurisdiction thereof. Except as set forth above, the state and federal courts of Maine shall be the exclusive forum and venue to resolve disputes arising out of or relating to these Terms and Conditions or any user's use of the Products and Services. By using the Products and Services and thereby agreeing to these Terms and Conditions, users consent to personal jurisdiction and venue in the state and federal courts in Maine with respect to all such disputes. CAMPUSTOURS reserves the right to modify the Products and Services from time to time, for any reason, and without notice, including the right to terminate the Products and Services. CAMPUSTOURS reserves the right to modify these Terms and Conditions from time to time, without notice. Please review these Terms and Conditions from time to time so you will be apprised of any changes. These Terms and Conditions constitute the entire agreement between the parties with respect to the subject matter contained herein and supersedes any other agreement, proposals and communications, written or oral, between CAMPUSTOURS' representations and you with respect to the subject matter hereof; except that any other terms and conditions located on any individual CAMPUSTOURS web site or in connection with the Products and Services are incorporated herein by reference to the extent they do not conflict with these Terms and Conditions. To the extent that any other terms and conditions or terms of service conflict with these Terms and Conditions, those other provisions shall control with respect to the use of the particular web site and any Products or Services available on or through the web site or the respective Product or Service at which those other provisions may be found. CAMPUSTOURS' failure to exercise any right or provision of these Terms and Conditions shall not constitute a waiver of such right or provision. If a court of competent jurisdiction holds any provision of these Terms and Conditions to be invalid, the parties nevertheless agree that the court should endeavor to give effect to the parties' intentions as reflected in the provision, and agree that the other provisions of these Terms and Conditions remain in full force and effect. You acknowledge and agree that you and CAMPUSTOURS are independent contractors under these Terms and Conditions, and nothing herein shall be construed to create a partnership, joint venture, agency, or employment relationship. Neither party pursuant to these Terms and Conditions has authority to enter into agreements of any kind on behalf of the other and neither party shall be considered the agent of the other. You agree not to resell, assign, sublicense, otherwise transfer, or delegate your rights or obligations under these Terms and Conditions without prior express written authorization of CAMPUSTOURS. These Terms and Conditions shall continue in effect for as long as you use the Products and Services, unless specifically terminated earlier by CAMPUSTOURS. All provisions of these Terms and Conditions which impose obligations continuing in their nature shall survive termination of these Terms and Conditions. CAMPUSTOURS reserves the right to communicate with you regarding your use of the Products and Services. CAMPUSTOURS is always improving its Products and Services and developing new features. If you have ideas regarding improvements or additions to CAMPUSTOURS, we would like to hear them -- but any submission will be subject to these Terms and Conditions. UNDER NO CIRCUMSTANCES SHALL ANY DISCLOSURE OF ANY IDEA OR RELATED MATERIALS TO CAMPUSTOURS BE SUBJECT TO ANY OBLIGATION OF CONFIDENTIALITY OR EXPECTATION OF COMPENSATION. BY SUBMITTING THE IDEA AND/OR ANY RELATED MATERIAL TO CAMPUSTOURS, YOU ARE WAIVING ANY AND ALL RIGHTS THAT YOU MAY HAVE IN THE IDEA OR ANY RELATED MATERIALS AND ARE REPRESENTING AND WARRANTING TO CAMPUSTOURS THAT THE IDEA AND/OR RELATED MATERIALS ARE WHOLLY ORIGINAL WITH YOU, THAT NO ONE ELSE HAS ANY RIGHTS IN THE IDEA AND/OR MATERIALS AND THAT CAMPUSTOURS IS FREE TO IMPLEMENT THE IDEA AND TO USE THE MATERIALS IF IT SO DESIRES, AS PROVIDED OR AS MODIFIED BY CAMPUSTOURS, WITHOUT OBTAINING PERMISSION OR LICENSE FROM ANY THIRD PARTY. Should you violate these Terms and Conditions or any other rights of CAMPUSTOURS and CAMPUSTOURS Inc, CAMPUSTOURS reserves the right to pursue any and all legal and equitable remedies against you, including, without limitation, terminating any and all user accounts on any and all of CAMPUSTOURS web sites.